Republic Bank joins in welcoming 5 babies born on New Year’s Day. 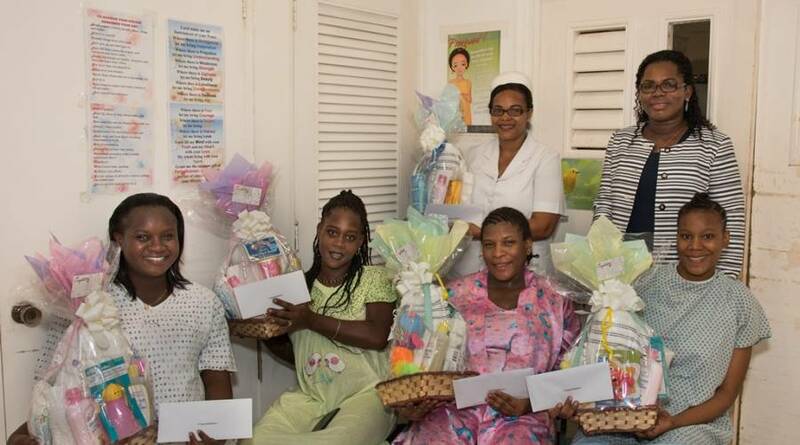 Elizabeth Richards-Daniel, Manager Finance at Republic Bank, visited the General Hospital, which recorded 4 of the 5 births, and presented a gift basket with goodies for the baby and a voucher for a RightStart account, valued at EC$100, to each of the proud mothers. The 5th birth was recorded at the Princess Alice Hospital, St Andrew, with Nurse Jules receiving on behalf of the mother. Each year, Republic Bank makes this gesture to welcome the new babies and to help instill a savings habit, from infancy. On making the presentation, Richards-Daniel congratulated the mothers and extended best wishes for their health and well-being. The beaming mothers were elated to receive the tokens, and thanked the bank for sharing in their joy! We wish moms and babies well.